We all have a love/hate relationship with our personal (over? )use of social media, but none of us can deny it is definitely here to stay. Social media is the modern world’s most powerful tool for branding and marketing. We ran through the many reasons why in both part 1 of this series and in another post dedicated to the importance of social media. Quick recap: Social media is everywhere. It is cheap, targeted, data-driven, multi-channel, increases website traffic and SEO, amplifies brand awareness, stimulates audience engagement, and can even function as your virtual store. The possibilities are endless. But that’s also the problem: it’s easy to get overwhelmed by the options, and it’s hard to know how to even begin. And once you’ve begun with social media, where do you go from there? How do you make it work for your brand? For many of us, using social media for our business is scary. We’re terrified of making mistakes, so instead, we do nothing. However, in the digital age where almost everyone looks for product/service information online, not having a social media presence is NOT an option. If a tree falls in the forest, and no one posted it on Instagram, it didn’t happen. This is the new reality of businesses everywhere. First, accept your fear for what it is: something holding you back. Something you can conquer. Re-read the previous post in this series for tips to overcome your worries and begin a simple social-media plan that is easy to implement. Remember that you are already a brave risk-taker: you are a business owner or a person with an entrepreneurial mindset. Engaging in social media is just one more cliff to jump off. Your heart thudding with exhilaration as you take the plunge again and again, mastering your technique – proving to yourself that you are as badass at this as you are in everything else. And then, when social media is a simple part of your daily routine, when it no longer makes your heart race, you’ll realize it was actually more like hopping off a small country hill than a scary cliff, because the risks of social media are much smaller – especially when compared to the immediate rewards. Getting started is the key, but what happens after that? 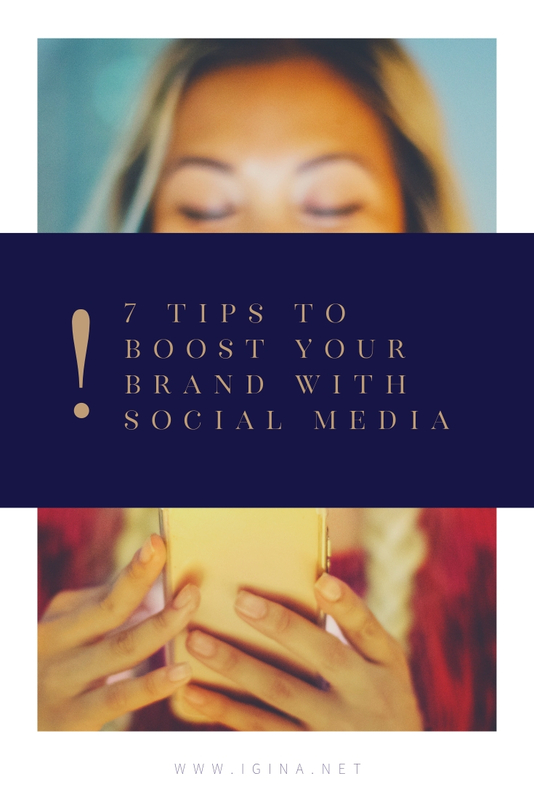 Once you have a few channels set up, and you’ve gotten into the posting habit, you’re ready to expand and start to see those social-media returns. Here are 7 ways to set yourself up to do just that. In the land of social media, consistency is one of the most important keys to success. You might start your social-media journey on an ad-hoc basis, posting every now and then, when you feel inspired. But remember, social-media posts tend to have a short shelf life, and (unless you do targeted, paid marketing) you won’t reach everyone in your audience every time. To really get your messages to stick with your audience, or even reach all of them, you need to be consistently posting content on your channels. Don’t worry about having enough content to post – you should be supplementing the content you make yourself with other content you find around the web, anyway. Quality content that reflects the character of your brand, of course. Content you think your audience would find useful or enjoy. Still, even with the help of all the content you’re reading to be better at your own business (like this blog), posting takes up a lot of time. And then comes the question: when to post what? That’s where content calendars come in. A content calendar can help you plan what to post in advance and when to post it. It doesn’t have to be fancy; you can even use an actual wall calendar(!) to keep track of when/what you will post and on which channel. Remember that each channel has slightly different requirements for posting. So other tools can include tables, spreadsheets, or even project-management tools like Asana (which also has reminders) to keep everything on track. Need a tool that serves as both a content calendar and automatic posting machine, uploading your content even while you’re sleeping? Then look no further than Buffer! It’s one of my favorite social-media support systems and also provides valuable data on how your posts did. I heart Buffer (and their awesome customer service), and I bet you will, too. But there are other posting tools as well, so experiment to figure out which one works best for you! 2. Don’t underestimate the importance of visuals. A few years ago, a simple post with a link was fine. But just as music videos revolutionized the music industry, graphics and videos are changing social-media marketing. Including an image or video with your post is shown to increase engagement, across platforms. Keep in mind that making a visual doesn’t have to be difficult. A PowerPoint slide can be converted into an image. Canva is another easy-to-use tool that can make interesting graphics for you. There are online tools to help you with everything from making your own memes to editing simple video content. But these skills can be outsourced as well – if your budget is tight, check Upwork for freelancers. Or put out feelers in your network – you’re certain to have expert visual content creators within a degree or two of separation. Do you know who your audience is, really? You need to understand who you are trying to reach out to, who is most likely to respond to your brand. Then, you need to understand what makes them tick: what content will turn their heads? What information do they need to make their days/jobs/lives easier? What content can you toss their way to simply give them a quick laugh? Make customer profiles (both current and ideal), and predict which social-media channels and what kind of messaging would most likely reach the people who fit those profiles. Then experiment. Check your data, tweak your plan, and experiment again. A unique strength of social media is that posts can target a particular group of people at a particular time in a particular way. This can be done organically, if you really pay attention and monitor your posts and channels, or it can be achieved through paid targeted marketing (or a combination thereof). But first, you need to know who exactly your audience is. Or who you want it to be. 4. Make sure you understand your brand. To understand your audience, to figure out who your potential audiences should or could be, you need to have a strong brand. This is the key to connecting with the right potential clients and customers once you find them, too. Also, having a strong brand will make having an equally strong social-media presence much easier. If your company has a cohesive and congruent brand strategy, then creating and implementing a corresponding social-media strategy, with optimized messaging and graphics, is a much more streamlined process (see the next point). Don’t have a brand? Then we should start there: schedule a call with me and I will guide you in the right direction. In the meantime, download iGina’s Brand Canvas or read more about how to build a brand. 5. Create a social-media strategy. If you have your brand figured out, you probably also have an overall marketing strategy. But do you also have a social-media strategy? This isn’t something you should set up going out the gate on the social-media race track. You need some experience and experimentation to figure out what your strategy will be. But when you’re ready to take your social-media impact (and payoff) to the next level, it’s best to have a game plan. Once you start posting, you will start getting valuable data about what resonates with your customers and what doesn’t. You’re getting to know your audience, good. The next question, though, is does this content that resonates with your audience also make them more interested in your business in particular? The right content, from a strategic standpoint, needs to do both. Your social-media strategy is a key element of that “how will you get there” factor. Asking these questions will help you figure out what facts and figures, what news and features, you want to bring to your audience’s attention – in the content forms that generate the most interaction. It will also help you figure out what data you should be paying attention to in return. 6. Figure out your key messaging. With your target audience, brand, and social-media strategy all figured out, pinning down your key messaging follows naturally. If you can’t answer these questions yourself easily, then it’s time to go back to tip #4 (and potentially consult a brand strategist). If you can’t identify how your products solve problems, then your potential customers definitely won’t make the connection either. 7. When in doubt, sign up for social-media packages. Want to make your entrepreneurial life easier? Then let a professional take care of your social media for you. Someone with years of experience selecting and targeting social-media audiences with custom-crafted content attuned to your brand’s unique personality and purpose. This is one of iGina’s specialties. iGina’s offers affordable monthly social-media packages that include building a simple, effective social-media strategy, with key messaging targeted to your audience, as well as an effective content calendar and even custom graphics. We have already done all the experimenting, gotten to know the ins and outs of the most popular social-media platforms – let us put what we have learned to work for your brand. Do you want to learn more or need help setting up your social media strategy? You can always get in touch with me for more tips and tricks.